If you love the mysterious ocean, you can find a treasure tucked away in Pocomoke City, Maryland. 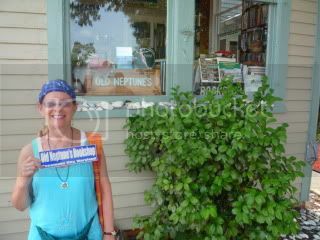 Old Neptunes Bookshop is the only maritime bookstore on the Eastern Delmarva Peninsula with contemporary, rare, and out of print books. This shop has over 3000 books with topics pertaining to the sea, or areas around the sea, ranging from fishermen to sea creatures. You can spend hours browsing the numerous books containing information on bottom glass sponges to Elephant slides of Coney Island. And you can also find curios and DVDs related to the beach. Bookseller, Robert Richards will chat with you about local history of Chincoteague, Assateague or Pokemoke or recommend literature or poetry inspired by the ocean. Catch him before he goes surfing. The store hours are 9AM -2PM or by appointment 410-957-0518. 203 2nd Street in Pocomoke City, MD. 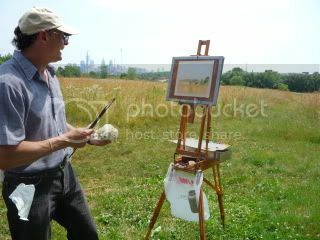 This past Saturday I took part in Philadelphias Art in the Open project. 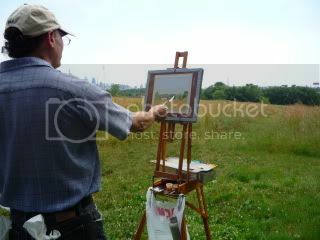 Giovanni Casadei taught a landscape painting class in the a la prima style. This method teaches to finish an oil painting in one sitting. Bartrams Gardens provided the perfect setting for numerous inspirational views of gardens, ponds, the cityscape and the river. Even though the temperature was in the eighties, being outdoors was a lovely experience. Heres some photos of Giovanni demonstrating the a la prima technique. 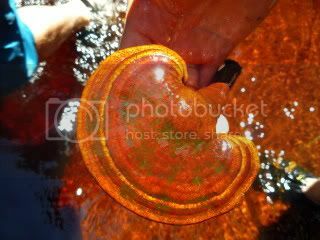 Reishi mushrooms have been used in Oriental Medicine for thousands of years to regulate the immune system and restore health. They are also known to help lower blood pressure and alleviate allergies. Taken as a nutritional supplement, they help the bodys organs to function at optimal levels and thereby help prevent disease and maintain good health. They are non-toxic and can be consumed without harmful side effects. You may want to consult your doctor before taking any supplement, especially if you are taking any medications. In the marketplace, their powders are sold to make tonics, tea, or soup. Heres what they look like growing wild.